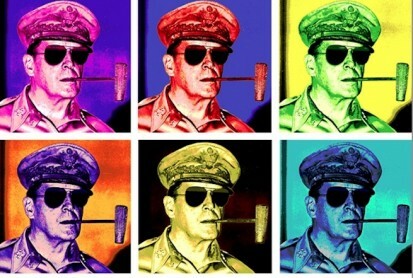 I want to do one of these for Little Rock soon. This is a map of all the Subway sandwich shops in Baltimore drawn as a Subway system. 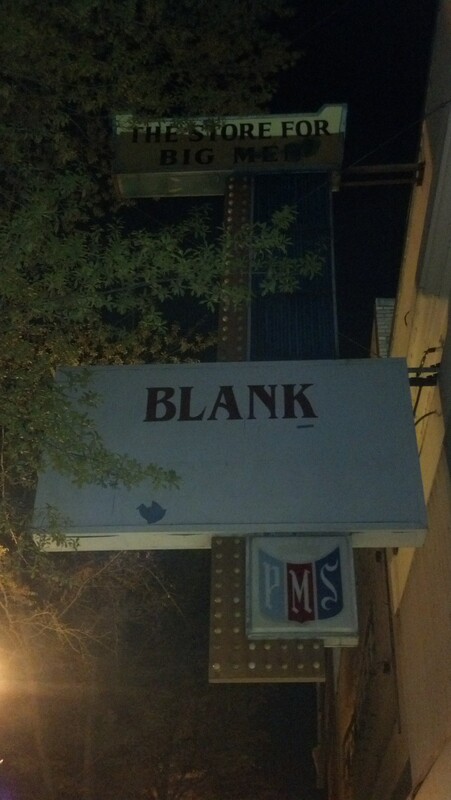 Pretty clever. 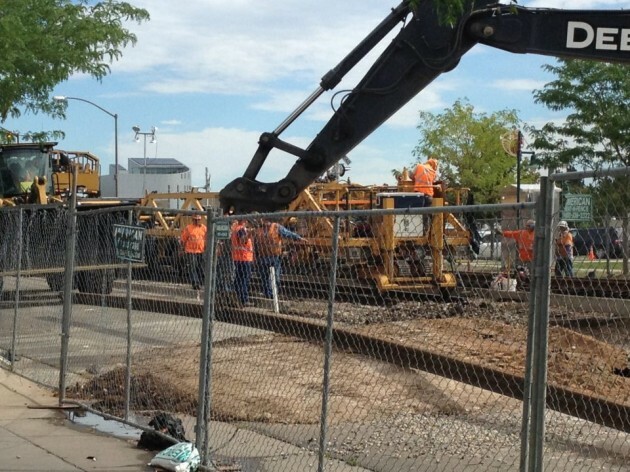 So if you didn’t hear the big news last night, The Greater Little Rock Public Transit Commission announced that they are beginning construction on the LRRT, Little Rock Rapid Transit this April! The Line will stretch from West Little Rock all the way to downtown and out to the airport! 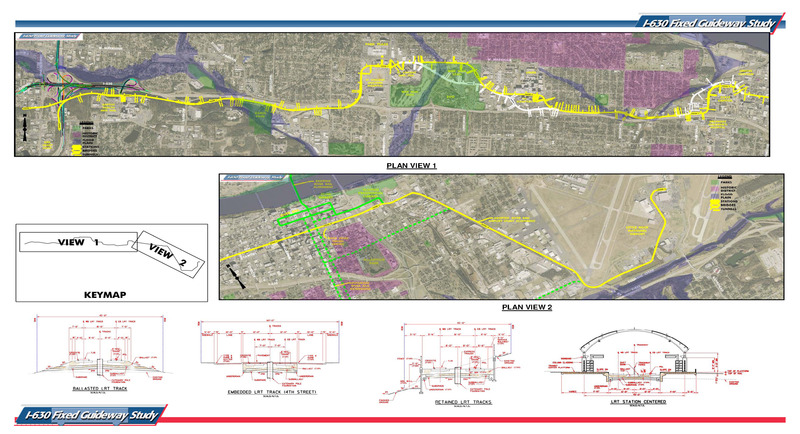 Site prep has already begun in west Little Rock near the new Big Rock Interchange and Eva Ghatchya with the GLRPTC said in an interview, “Riders can expect service on the first phase to begin exactly 1 year from now”. More info to follow! 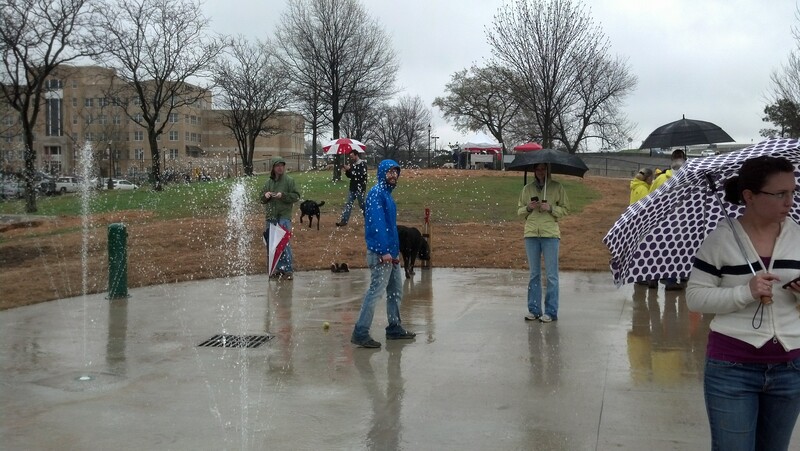 MacArthur Park has gone to the dogs today! 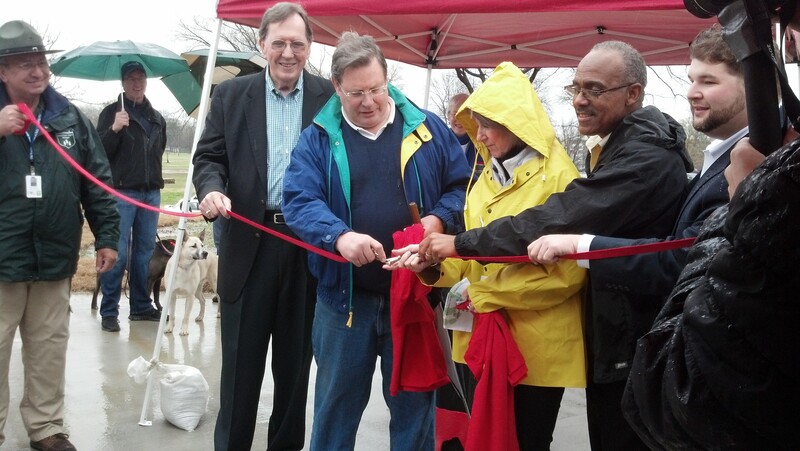 If you haven’t already heard about the new dog park that the folks in MacArthur Park have been working on, this afternoon was the grand opening and despite the rainy weather, there was a great turnout from both with two legged and four legged downtown residents. 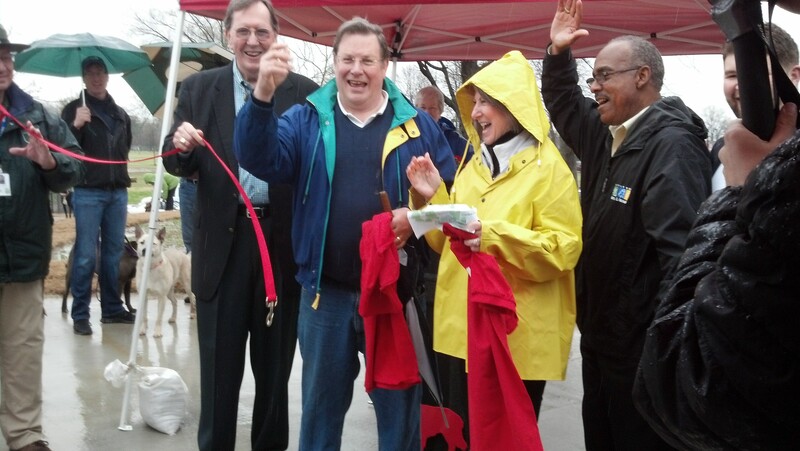 The Mayor and the City Manager were both on hand along with Sharon Priest and a few other community leaders for the grand opening and after a few speeches and thank you’s the gates were opened and the dogs were let free. 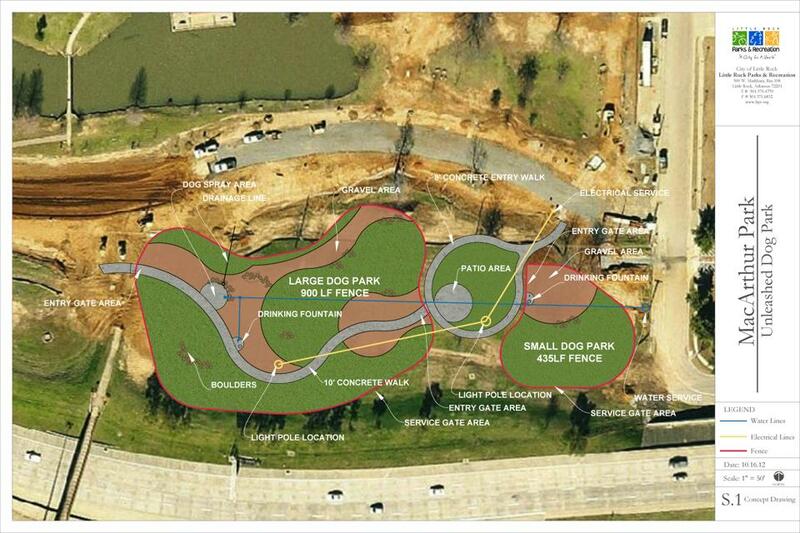 This is Little Rock’s 2nd Dog Park. The first one is in Murray Park, and while it’s a little bigger in size, the new one at MacArthur Park had a lot of more input and help from locals in the MacArthur Park and surrounding neighborhoods. We took Beckett over to the small dog park which was much better than the small dog park at Murray. 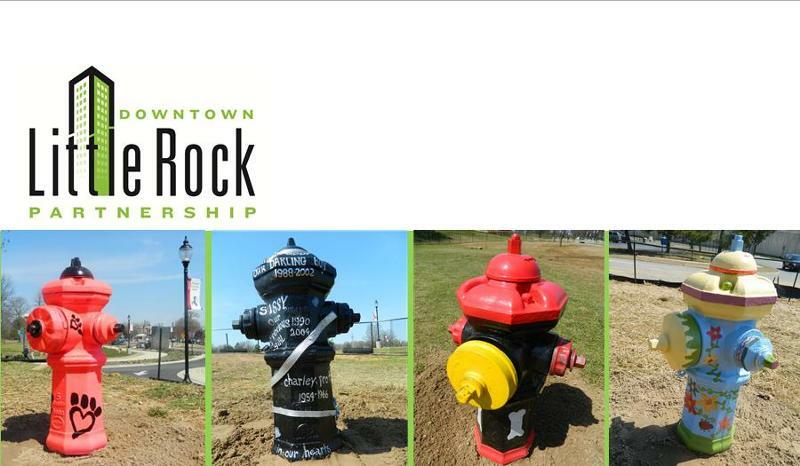 The design included boulders and little berms for the dogs to jump on and off, a larger area for the dogs to run and even old donated fire hydrants from Central Arkansas Water, that local artists painted. Beckett loved it! She ran circles around the fence, leaping off the boulders, though after a while the rain started to slow her down a bit. 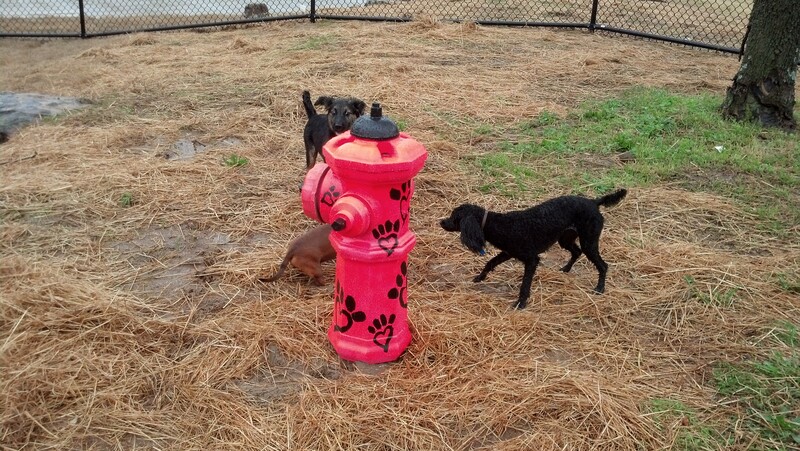 Beckett and some new friends at one of the painted fire hydrants in the small dog park. 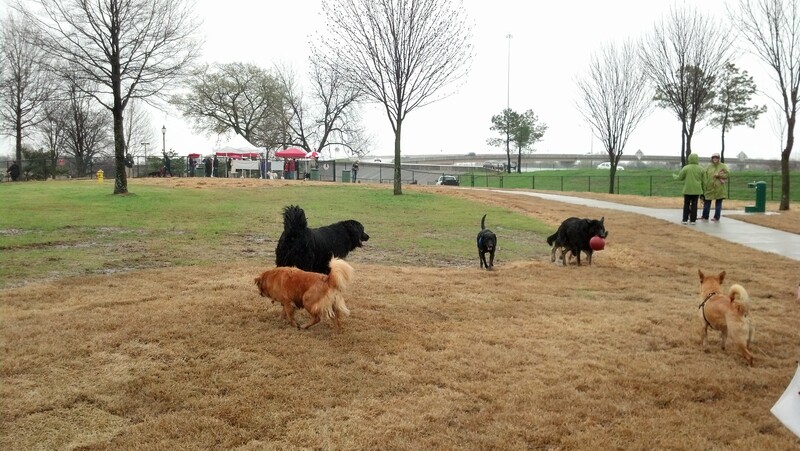 We went over to the big dog park as well to take a look around. 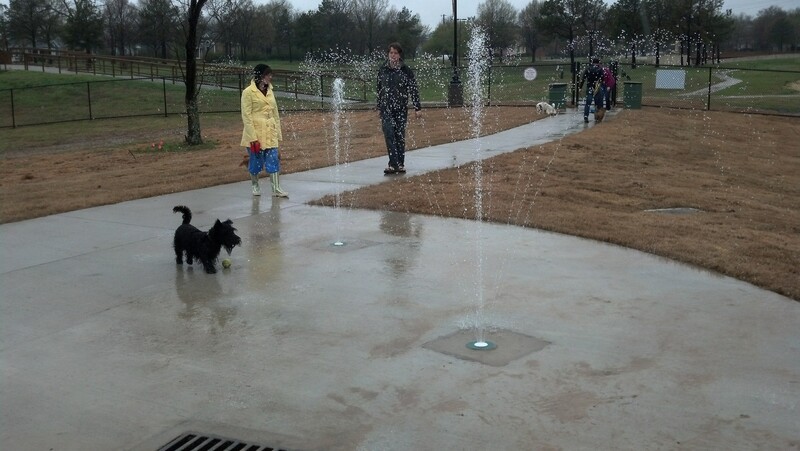 The bigger park had a splash pad for the dogs to play in and plenty of room to run! 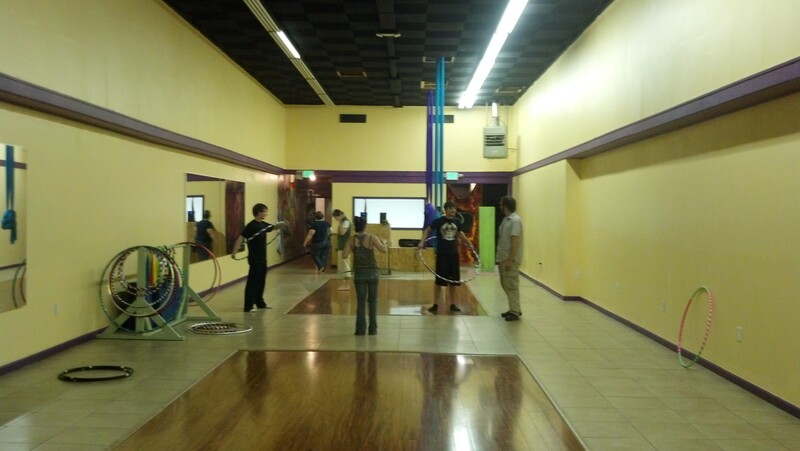 Great turnout for the opening. The UALR Law school is a nice backdrop for the park. 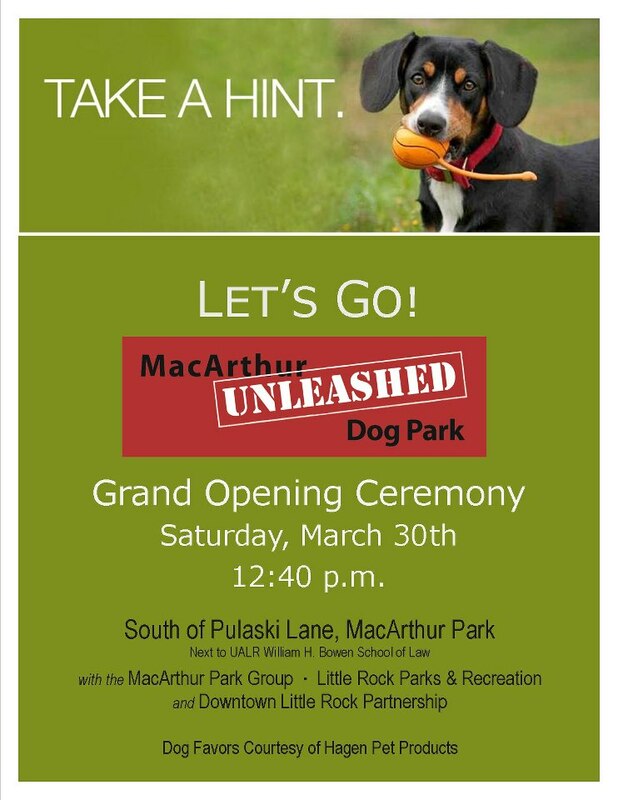 The park is also looking for “Pack Leaders”, volunteers to help keep the park clean and help out at special events like “Paws n Claws” Crawfish boil fundraiser on April 6th at 2 p.m. and “Puppy Hour” (I’m assuming a play on Happy Hour?) 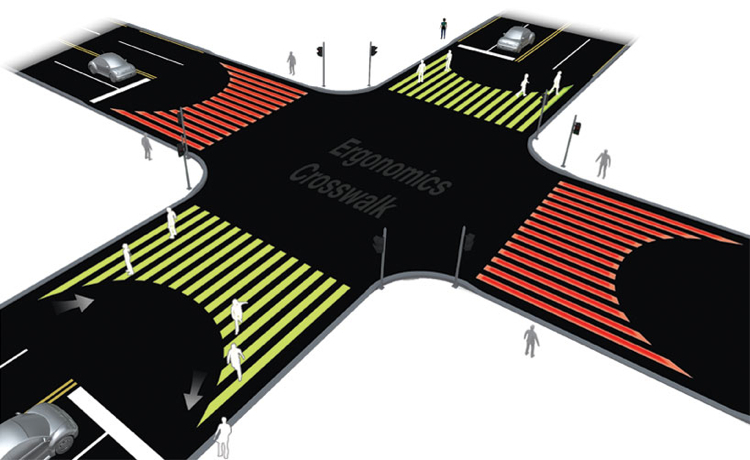 Future fundraising events are planned to add other amenities to the park like a a solar shade structure, public art, a solar powered emergency call box, WiFi internet access, more LED lighting and seating for the public. Part of the funds for the Park came from the recent sales tax increase but a large part of it came from private donations where people could buy a brick with their name on it for $100 that are part of the parks walkways. 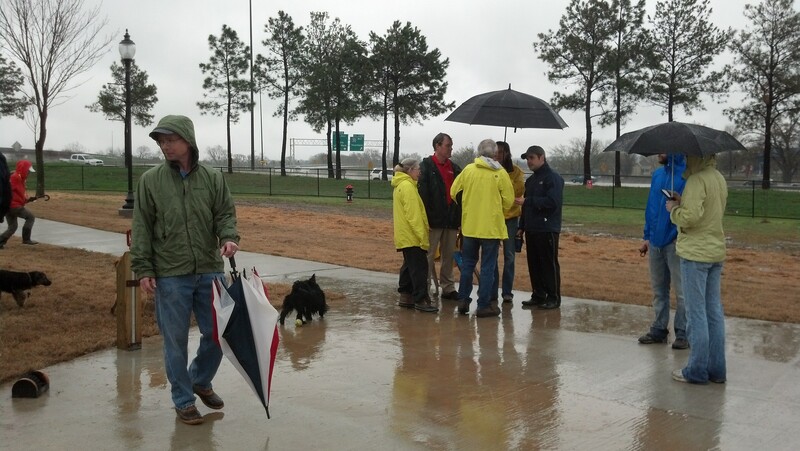 We’ll be back to the park soon, hopefully on a little dryer day. This new park is just another accomplishment in a long list of projects in downtown and the surrounding neighborhoods that have been going on and MacArthur Park has probably been one of the best examples of change downtown. 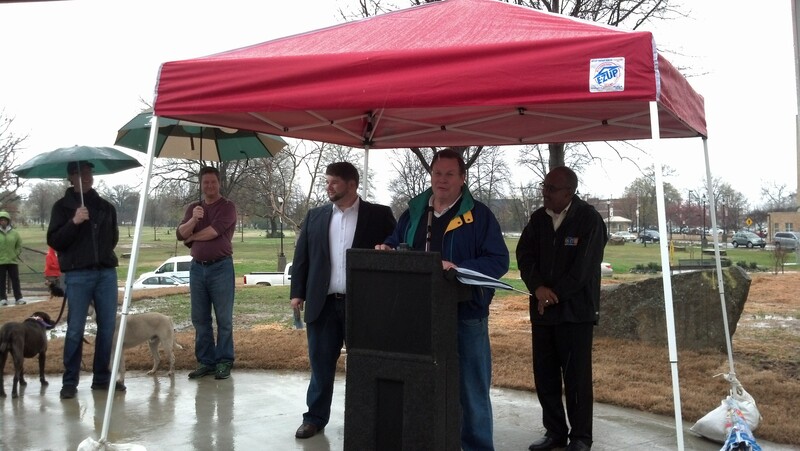 As Little Rock’s oldest park, MacArthur Park has seen it’s up and downs through the years, but thanks to the MacArthur Park Group that started meeting every Friday morning in 2006, the park has seen new life and is regaining it distinct character. The front lawn was redesigned a few years back and just recently, the new LID McMath and Pulaski County Way streets were finished along with new signage in the park, new events like the MacArthur Park 5K and the historic neighborhoods walking tour and a passionate neighborhood following that have supported the park’s revival. 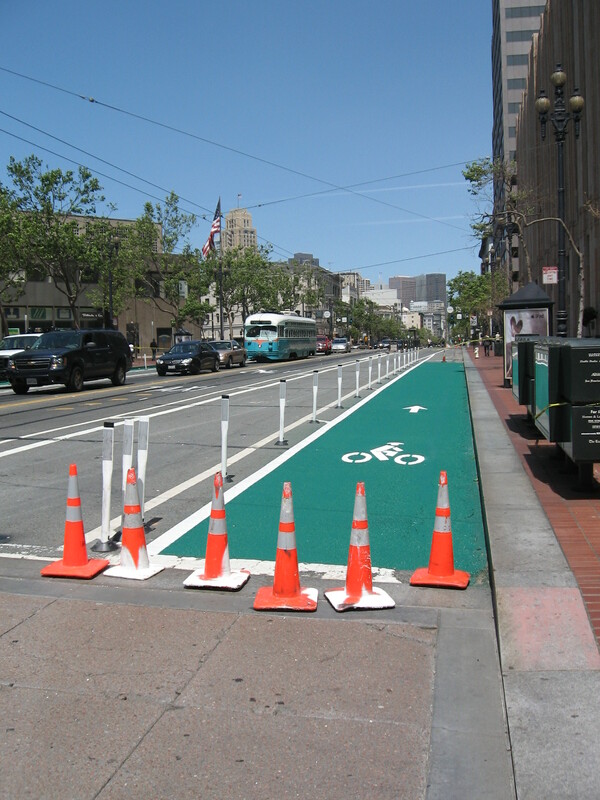 There are more exciting things to come in the park and in the surrounding neighborhoods, like the Fire House Hostel for travelling youth, New Bike Lanes on South Main, (thanks in part to Pop Up Main Street!) 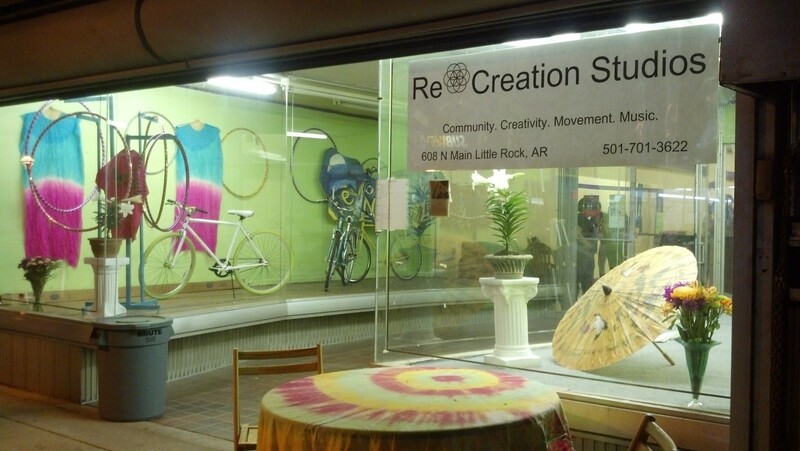 and all sorts of other things you can read about in this week’s Arkansas Times issue on the Main street Revival. Enjoy and Happy Easter! 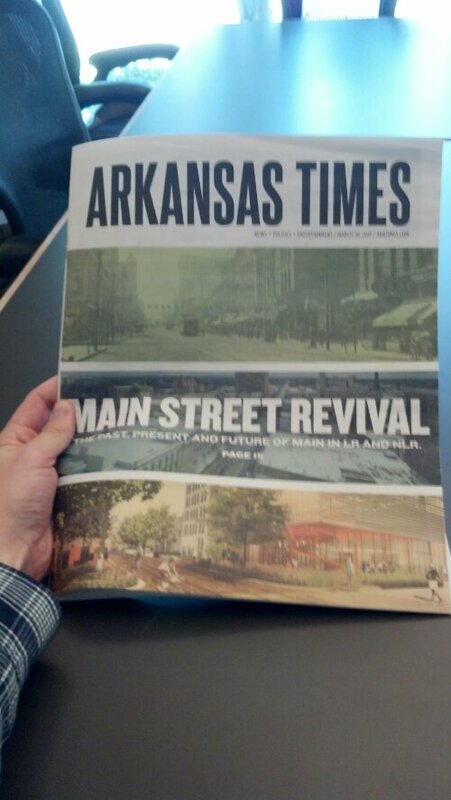 Be sure to pick up a copy of the Arkansas Times issue this week for their special Main Street issue! Its a great read on everything and anything that has happened and will happen on Main st. Its a good time to be downtown!